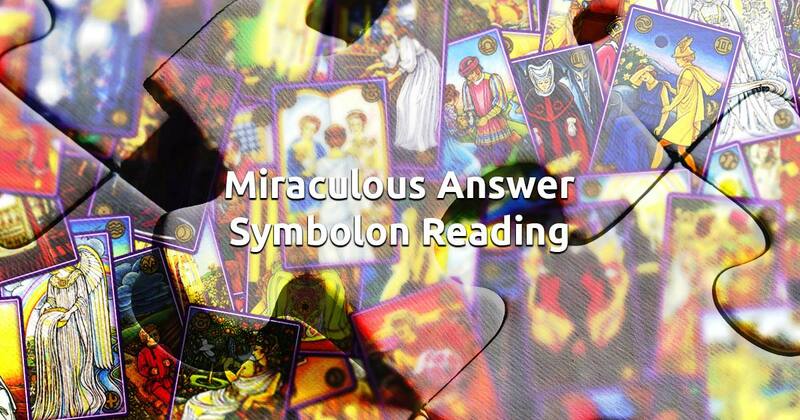 The Miraculous Answer Symbolon spread carries strong messages that can act as powerful triggers. It probably is unlike anything you've used before, and it might appear harsh at first, but keep in mind that it is developed to show you the unseen details and take you to places that you perhaps have not been able to get to by yourself. This card reading will reveal what your life direction at present is, what problem you are facing (or you're to face in the near future), the cards will then advise a possible resolution and suggest a likely outcome, according to your current decisions. Try to clear your mind and relax for a brief moment. If you have a concrete problem, don't try to concentrate your intuition on it, rather focus your thoughts and emotions on yourself. When you're feeling ready, select 4 cards to begin your free reading session.